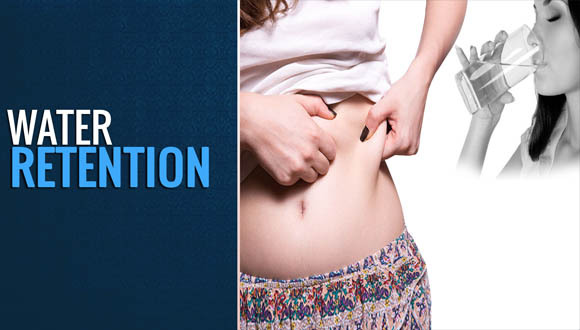 Water retention is a common health condition among people who live out there in the world. It takes place due to excessive accumulation of fluids within the body tissues. As a result, you will have to experience swelling in different parts of the body, such as hands, feet and ankles. However, there are few effective home remedies, which you can follow in order to overcome the frustration associated with water retention. Here is a list of some of the best home remedies out of them. This may sound like a strange solution, especially for an individual who is looking forward to avoid water retention. However, it can be considered as an effective home remedy available to get rid of the frustrating health condition. Whenever your body feels dehydrated, it will automatically react to the condition by storing more water. Hence, you will become a victim of water retention. That’s where you should think about drinking more water, so that you don’t let your body feel that you are dehydrated. You are encouraged to drink at least eight full cups of water per day and it will help you to avoid water retention in an effective manner. Consuming vitamin B6 can also be considered as an excellent home remedy available for you to avoid the negative consequences associated with water retention. Vitamin B6 is a diuretic substance. Hence, it has the ability to assist your body excrete a lot of urine. As a result, water content in your body will be reduced. This is an effective solution available for women to overcome water retention in the long run as well. Potassium deficiency has also been identified as one of the key culprits that lead you towards water retention. Therefore, you will need to take necessary steps to improve the potassium intake. When you consume a lot of potassium, you will be able to make sure that the sodium levels within your body are stable. As a result, you can assist your body to flush away waste from the tissues. If you are looking for a simple and a straightforward method to get rid of water retention, you can consume a yogurt. Yogurts come along with a lot of protein. Lack of protein is one of the biggest culprits that can lead a person towards water retention. Hence, you can get the required amounts of proteins into your body by consuming a yogurt.